There was a recent report on the Sri Lankan government taking tips on quality education from Odisha, which is such great news. What are your thoughts on this? Yes, I also read it. The team from Sri Lanka visited Puri and Khurda districts, which are the most developed districts in Odisha. Most of the efforts in qualitative education are going on in these districts, as people are very eager to improve their lives and get better education. In the tribal districts however, education is a big challenge, because local tribal communities still do not send their children to school. Can you give us a brief overview of the status of primary education in Odisha? 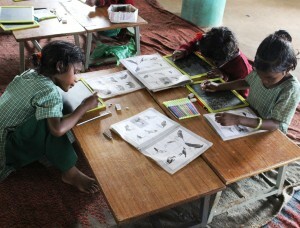 Primary education in Odisha has a huge urban rural divide. Most children in the urban areas go to private schools. In the rural areas, there are very few private schools, and children especially from poorer communities have no option but to attend government schools. Faced with resource crunch and lack of qualified teachers, these government primary schools can’t ever provide quality education. The situation is worse in the tribal districts, where the average number of teachers in a primary school is 3 or less. For upper primary schools, the average number of teachers is around 4. Moreover, many of these teachers are not trained or qualified for handling multi-grade teaching. This has a direct impact on the learning levels of children. By shutting down schools with very few children and increasing the number of residential schools in these areas, the government plans to address this problem. However, the resources required to run residential schools are much higher than those required for a primary school. Shutting down primary schools and shifting all students to residential schools in the tribal regions, might create more problems, as children who cannot go to a residential school for one reason or the other, will be deprived of education completely. It remains to be seen, whether the government will spend enough resources to ensure quality education and facilities in these schools. What is the educational status of tribals vis-a-vis their non-tribal counterparts in terms of education? There are multiple reasons for the low literacy levels in tribal regions. The most important reason is that the tribal community still has not realized the need for school education. These people have a right to be skeptical as school education has not really made a significant difference to quality of life in the tribal regions. Tribal communities by and large still have not been able to have the benefits of a literate generation. This impedes the parents from monitoring their children’s learning in school, demanding better teaching, or even supporting their child’s learning at home. Another reason is the lack of quality government school teachers who are equipped to deliver qualitative education in the tribal regions. A lot of these teachers do not comprehend the innovative methods outlined in recently developed textbooks. These teachers also don’t have proper training to deal with multi-lingual classes, as is often the case in tribal villages. Hence the tribal literacy and educational levels are disturbingly low. Many students who have given their 10th exams can’t read fluently. In the villages, actual literacy levels, and simple tasks like reading for information, and doing basic arithmetic calculation are significantly below the ‘literacy rates’ as indicated by the census figures. For tribal girls, the situation is much worse, as patriarchal values attribute least priority to education of tribal girls. Tell us about the work you do at Agragamee? Agragamee addresses various aspects of tribal development and tribal poverty. The details of our work in different sectors can be accessed from the website. Agragamee has been involved in the implementation of programs of primary education in the tribal regions for the last 25 years. 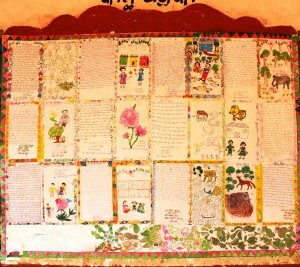 In these programs, it has been supported by the Ministry of Human Resource Development for Programs of Non-formal and Innovative Education, covering 200 villages, in 5 tribal districts, Ministry of Tribal Welfare for a Residential Complex for Tribal Girls, and International Funding agencies including Action Aid, and Terre Des Homes. These efforts in education were essentially through single teacher learning centers, which aimed to provide education in some of the remote tribal regions, where schools did not run or even exist. 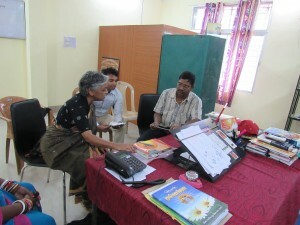 They have been part of Agragamee’s holistic and integrated development efforts. From just small rooms in the center of villages lit with a lantern, these schools blossomed into lively dynamic centers of collective growth with shared learning’s where the development history of the village unfolded. The attendance in these centers is not just limited to children, as many adults and adolescents regularly visit the center with interest and enthusiasm. Some are regulars, interested in learning the secrets of alphabets and number; others not so regular in the beginning, as they usually come out of curiosity but gradually become more regular. The Program has enabled a learner achievement at the primary level much more than that facilitated by qualified teachers in formal Government Schools. 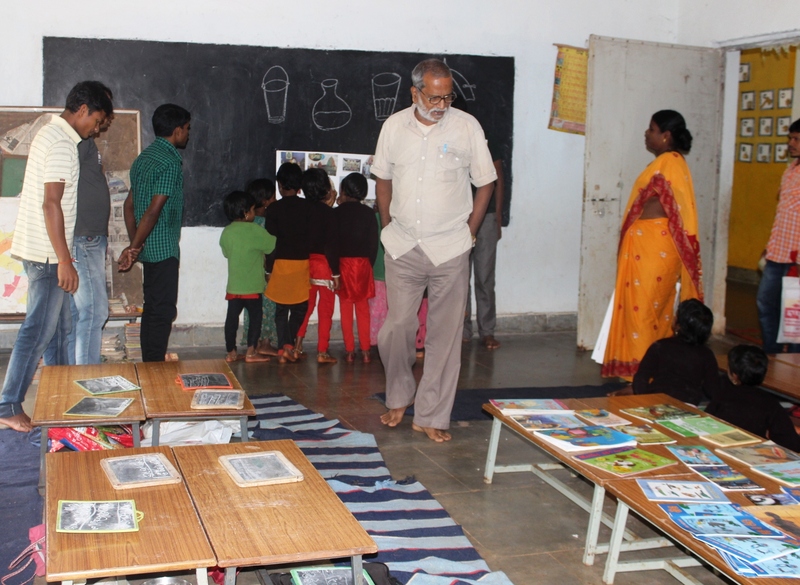 Seeking to build up and consolidate its past experience in education, Agragamee started a series of schools called “Mukta Gyana Kutira” or ‘Centers for Learning with Freedom’, in some of the remotest tribal regions in Odisha. The interventions include primary schools for tribal girls, primers and guides for easy and fun language development and teacher training. Over the decade of their existence, these schools have been able to prove their worth, and develop a keen interest for education in the villages. Taking into consideration, the extremely low level of education of girls and women in the tribal districts of Odisha, the Agragamee Schools have been able to break the taboos and barriers to girl’s education in the tribal villages. This initiative has generated a sense of right to education that has started a process of reforming the state school system. Children have become more regular in attending school which has resulted in some enhancement of attendance of the children. Apart from exerting a direct impact on the overall education scenario of the area Agragamee Schools have created a sense of empowerment among the students. Children have been instrumental in checking the muster rolls for MNREGA (Mahatma Gandhi National Rural Employment Act), generating awareness about the right wage rate and benefits involved in the programs like public distribution system, the ICDS (Integrated Child Development Scheme), etc. Since most of these children are first generation learners and have least scope of support and help from parents and relatives, the role of teacher becomes very important. How does Agragamee involve teachers and ensure that they remain motivated and committed to the cause? Agragamee’s Mukta Gyana Kutir Schools have developed as ‘Experimental Model Schools’, where teachers and teaching is monitored closely, and supportive inputs are provided regularly to the teachers, through informal interactions, training programs and demonstration classes by experts. The teachers have thus gotten a much better understanding of the whole process of teaching. 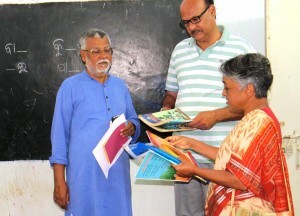 To further support their work, Agragamee has developed innovative work books, and teaching learning material, that acts like a guide for day to day activities in the class. The core approach is basically a reversal of the traditional methods of language teaching, which begins with emphasis on the alphabets. In the Agragamee method, the emphasis is on helping the child learn words first, words which have meaning and connections for the child, then learning to write names of familiar objects and things, like animals, vegetables and flowers around the house, etc. There is no effort whatsoever to make the child rote learn any alphabets or spellings. On the contrary, the teacher takes the child through a series of steps, such as writing words, then sentences, and funny rhymes, and so on, which helps the child connect with the phonetics naturally. There are many students coming from various linguistic minority groups, which make it difficult for them to cope in school due to linguistic differences. What are some innovative ways in which you are overcoming this problem? This problem can only be overcome with the help of teachers with the same mother tongue as the children. The teacher should be provided training in dealing with multi-lingual class groups. In our schools, the teachers teach the same rhyme in two languages, providing translations for both groups of children. What is the role of governance in development of education of the tribals? Governance is a key issue in educational development, as it is with any development administration of any welfare scheme. However, it is the one key intervention that can help any community take the quantum leap from being marginalized to being developed. At the moment the government has many features for the decentralized governance of schools like School Management Committee, Parent Teacher Association, Panchayat Level Standing committee etc. However, as the people themselves are uneducated, they are unable to exercise the powers conferred on these committees. In such cases, it is imperative to make extra efforts to educate the village community about the various programs and its proper governance and management. Thank you Vidhya, it was wonderful chatting with you. Before wrapping up, why don’t you tell us a bit about yourself? What was the motivation behind starting Agragamee? 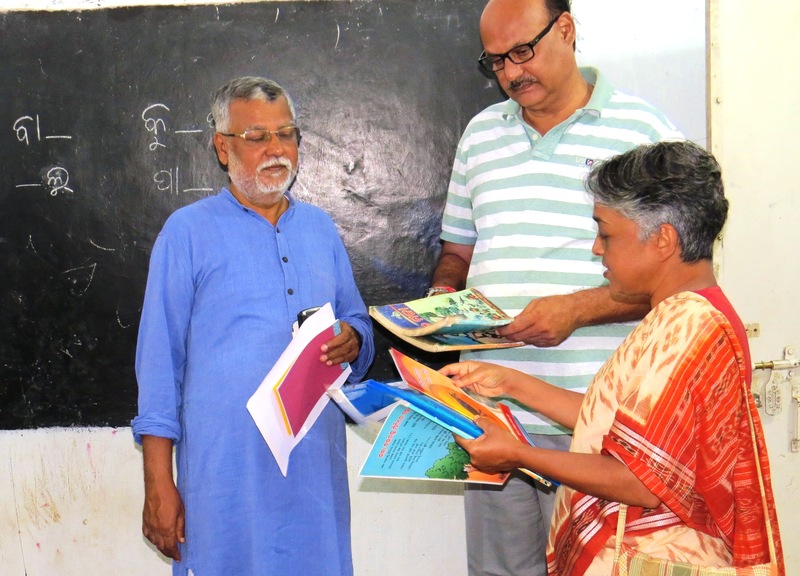 Agragamee was started by Mr. Achyut Das, who had experience of poverty and underdevelopment in Western and Southern Odisha, first hand as a project officer in the OXFAM West Orissa Program. I joined 3 years later, seeking to address tribal poverty and underdevelopment. Having a background in Social Anthropology, and been born and brought up in Jharkhand, which was then Bihar, I was keen to work in the tribal regions for their development and rights. In Agragamee, we sought to address all issues affecting the tribal communities with the ideology of “food and voice”. This included gross violation of basic human rights of tribals (especially tribal women), extreme hunger and poverty, exploitation and lack of education. This is hugely challenging, given the limited resources, the forces of exploitation and the vested interests of different stakeholders. This entry was posted in READ Alliance, reading. Bookmark the permalink.